Saturday 23 Sept 10am – 2pm. 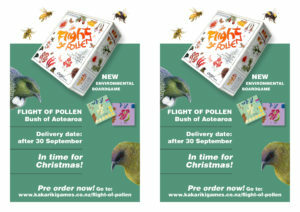 View a sample Flight of Pollen game. It’s got their logo on the back – they’re giving it great support. Nga mihi nui.